The stats all show it – video is one of the most engaging tools you have in your digital marketing toolkit. So why aren’t you using it more? Video is a great way to provide a simple explanation of new or complex products, like iDashboards’ cloud-based dashboarding solution. A video highlights package is a great follow up to a great party or event, like the ‘Black Carpet” premiere of Federal-Mogul Motorparts’ latest Garage Gurus training facility. Your customers – or in Rochester College’s case, students – can be your best sales people, so use video to share their stories in an engaging and personal way. Most people know very little about shocks or struts, and even less about why they’re important. This video was created to educate consumers about the real impact that worn shocks or struts can have on their safety. It’s not every day you celebrate a 100 years – Madison electric used this video to celebrate with employees and share the achievement with their many valued clients and friends, as well as local media. When Faurecia introduced its new employee web portal, this video gave them a quick, fun way to highlight why employees should get engaged. Not every video has to be a 5-minute epic. Quick fun videos – like the one we created to wish our Facebook followers a Happy Thanksgiving – provide great engagement at minimal cost. If you’ve got an event – real or virtual – video can help you spread the word and drive interest, like this one for iDashboards’ annual user event in Nashville. 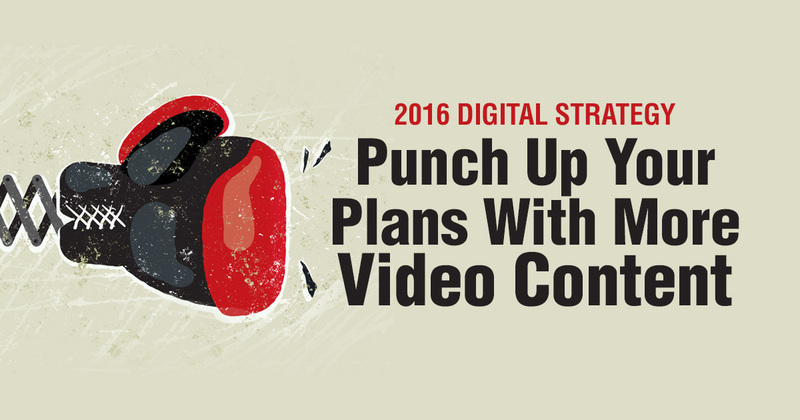 If you haven’t made video part of your 2016 plans – or aren’t sure how to best use it – it’s time to get on it. And if you want to see more of our video work, check out the PUSH 22 Vimeo channel.